PET ADOPTION Considerations - Are You Fit to be a Pet Owner? In any decision that you do in life, you must think hard about it in order to arrive at the best choice as much as possible. In the end, it is also you who will suffer or who will benefit from anything that will arise from that. Pet adoption considerations must also be at the top of your mind if you want to venture into this situation. Why would you want to adopt? Your reasons can be as simple as you want to gain a companion. The pets of your choice will depend on your lifestyle. You don’t want to get an animal that will require a lot from you physically if you cannot really afford the time to give it to them. You can just settle for a tamer one like a fish, rabbit or parrot that will serve as a companion white they really don’t ask you for too much attention. It will be enough for you to give them their basic necessities like shelter, warmth and food. You may also want to acquire a pet because you merely want to make a difference and help in this good cause. You may have a soft spot for animals especially for those that have been left in shelters or have been cared for by charitable institutions. This is a good omen and can lead you towards a brighter future in caring for pets. Just make sure that you are ready for the responsibilities that will be required from you when you opt to trek this route. Do not give pets as presents. This is a must. The reason for this is very obvious. The recipient of the gift may not be ready to owe up to the responsibilities that your gift comes with. What do you think will happen to the animal when they are handed to an unwilling owner? You may have your own reasons why you give the pets as gifts. You may think that you’ve already assessed the recipient based on the facts that you know about them. But for sure, there are certain spots that you do not know about them. The pets may end up in shelters or may also be given out to others. The worst thing that could happen is for the pet to be ignored and may cause its health to diminish. Owning pets will give you lots of joy. But these are animals. You cannot teach them to tidy up by themselves. So expect the unexpected. Prepare yourself to clean up your pet’s mess that may be distributed even on your favorite parts of your house. You can teach your pets tricks and share with them some manners. But you must not expect them to follow what you are saying all the time. They may be intelligent but you are superior than they are. You cannot expect them to do the right things all the time. You may be surprised to see eaten foods or chewed papers or shoes at times. If you are not prepared for such situation, what are you going to do? The most probable thing is that you will vent your anger at your pet. You may want to decide to get lost of them the instant they did what seems to be inexplicable. These pet adoption considerations can help you open your eyes and mind if you can be trusted to be a responsible pet owner. Have you ever thought about going through the available options for pet adoptions? Pet lovers need not worry about finding the right furry companion for them. They are available everywhere, even on the cyberspace. But you must remember that owning pets entails lots of responsibilities. Here are some notes that can guide you before you decide on becoming a full-fledged pet owner. 1. Adopting is less expensive than buying a pet. The cost will depend on the type of adoption center where you will be getting the pets. There are some places, just to give you a sample of how much it would cost, you could get a puppy for $150. If you opt to buy this, the prices usually range from $300 up to $600. Your expenses don’t stop there. You have to pay for the puppy’s vaccinations for its first years which may be about $150 up to $300. Other health tests must also be accomplished to ensure your pet’s health. This will cost you about $50 up to $200. 2. You are confident that you are getting a healthy animal as a pet. When you opt to adopt a puppy, the case is usually like this. The animal shelter will assure you that it already has gone through thorough examinations. And what are these? First, your puppy’s fleas have already been treated. You just have to maintain that in order to keep your companion well groomed. Health examinations for the puppy have already been done by the center and they make sure that before you get the animal, it has passed all tests. This assures you that you are getting a healthy pup. If it is already suitable, when the animal is on its right age, the center will also provide its needed vaccinations. They also test the pups for parvovirus and some also do some testing for heartworm. Heartworm, distemper, and parvo-influenza are considered terminal diseases for dogs. So you have to make sure that your pet has gone through tests for these and passed them all. And this situation applies to all animals in your chosen shelter. They are all being given attention and proper funding to look out for their health. 3. When you are in the process of adopting a pet, you will be assisted by the center’s staff so that they can match you with the right animal. And this process is also extremely important. This is like helping you find the perfect partner or the additional family member who would be accepted by the family. If you’d like to get a dog, there are many kinds of dogs not only in terms of the breed but also with the attitude. 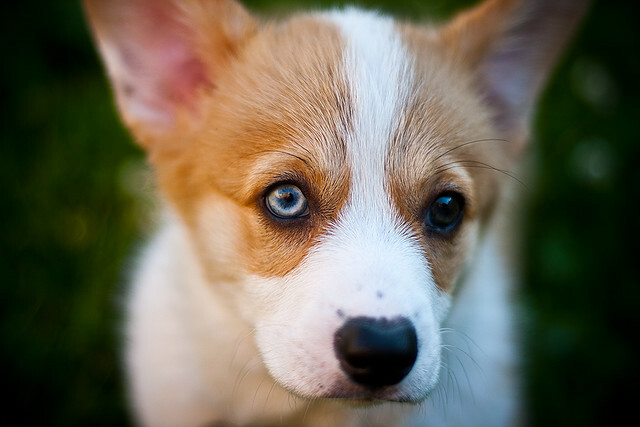 You will find purebred and cross-bred dogs of different sizes and personalities. There are those that are shy and others with extremely high energy. You will be asked by the center if you are the type of person who loves sports and may want to bring the pet on your running sessions. Or are you the type who just wants to stay home after a stressful day and be comforted by the fact that you are no longer alone. Pet adoptions can be fun as well as challenging. But you have to be responsible for the pet’s well-being after you have left the shelter. So make sure that you have thought about it really hard and you are ready to commit to the idea that you will be answerable to whatever will happen to your chosen pet once you have taken it home. What do you do if you want to adopt pets? There are actually many options for you these days if you are pondering about such thing. Your main consideration must be to look for the right pet adoption center where you will get the animal that can change your life forever. Owning a pet is indeed a big responsibility. As much as these pets bring laughter and fun to your household, it cannot be helped that they may also cause distractions and destruction. And why is that? They are animals. And as much as you train them, their instincts are not the same from yours. So you must not expect them to follow everything that you say about compliance and retention that you can get from a child. So think hard about your decision before you settle for anything that may affect your life as well as that of the animals. You must choose the pet that will suit your lifestyle the best. If you have acquired an animal, you must do everything in your capacity to prove that you are its rightful owner. Emotionally, you must be attached to your pets. This will help in instances wherein you don’t like what they have done or have caused you. You will not instantly get mad at them enough to throw them out because of the connection that you are sharing with your pet. 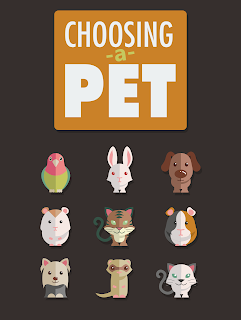 Physically, you must only choose the kind of pets that you can keep up with. If you don’t have enough time to spare for a pet, you can settle for the tamer types and those that will not require you to get involved in activities with them. And of course, financially, you must be ready to pay for any medical conditions that your pet may need in instances that they get sick or get entangled in accidents. The centers for the adoption of pets are being built by organizations that are concerned about the welfare of animals. They aim to help the animals, give them temporary shelter while providing them their basic necessities like food and warmth. Their goal is to give these animals the rightful owners who will take care of them. These shelters bring in different animals that have varied backgrounds. Some were abused, many are neglected and there are those that are lost. There are also some animals that are handicapped and were left at the shelters by their owners who couldn’t care for them given the situation. The shelter, as much as possible, will go out of their way to find sponsors for their organizations. They give the animals on their care the proper medication, vaccination and treatment for these pets to remain healthy while in their care. Some of the shelters will require you some fees when you adopt an animal. But this is still less expensive than buying a pet from a commercial store. In most cases, you will be assisted by the people at such centers to find the perfect pet that will fit the kind of life that you are leading. They will lead you to the animal that they are sure that you can handle given your situation. 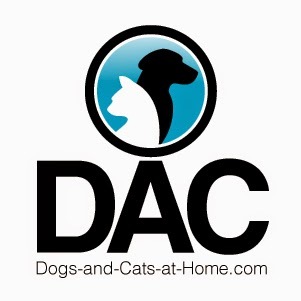 You can browse the Internet to find a pet adoption center near you. You can also ask for help at your local vets. You can also ask suggestions from the pet stores or some people who may have already used the service of such centers. Reasons for PET ADOPTION - Are You Ready to Become a Pet Owner? The reasons for pet adoption can be as varied as your choices during the springtime and early fall in centers and shelters. These are known as the breeding season. And because of that fact, people who will choose to adopt during this period will have lots of animals to choose from, different types, different kinds, breeds, sizes. You name it. You will have a breeze in finding the right pet that will be a welcome sight to your home and to your life. Pet adoption can be achieved through lots of ways. The setup can be a formal one, like you will go to a shelter and sign the necessary papers for your chosen pet to be released. You will go through all the necessary process from choosing the pets to assisting on legal documents that other localities may want you to accomplish. Other centers will ask you for a minimal fee. In return, you are assured that the animal that you will be getting is free of any sickness and have been treated with the right medication and proper vaccinations. You can also find online pet adoption portals that can give you choices of animals that you can adopt for free. These are usually owned by charitable institutions that aim to help the needy animals to find shelter and families for them. At this instance, you have to take the initiative to bring the animal that you have chosen to your local vet to be treated or vaccinated. You have to ensure that the pet is healthy before you bring it home. The charitable institutions have only the best intentions for these animals. But you cannot blame them if they cannot afford to bring the animals to the vets as required. They work hard to find sponsors. But with the numbers of pets being sent to them each day, they need your help to accomplish the rest of the procedure to make sure that the animal will live long. You can also adopt informally. Like for example, you know a pet owner who will be moving out of the country for justifiable reasons. Or you know someone who can no longer afford the responsibilities of taking care of their pets because of lack of finances. You can talk it out with them. You can adopt their pets for free. Or if they opt to sell it, you can also think hard about it. In any case, you have to look closely at the pet. Is this the type that you will be able to handle? Or are just going to cost more sufferings to the animal? If the latter is the case, then it will be better if you will advice the owners to send the animals to shelters or to charitable institutions or even to local vets who may have links with these associations. So what motivates you to own a pet? Look at this list and determine if you are ready for the challenges that it may pose. This will also help you decide what kind of pets will be beneficial to the kind of setup that you have at home and at your overall lifestyle. 1. You want a companion from a stressful and busy life. If you don’t have much time to spare, you may want to opt for animals that will not require so much from you. You may want to look into rabbits. You may also want a bird that is easy to maintain. You also can contemplate about owning a fish. Remember that your pets must suit your lifestyle. 2. You want to help. This is a good cause that you can participate to. But if you don’t really have the time to spare to be a responsible pet owner, you can just donate goods or cash to the charities or shelters that care for these animals. So what are your reasons for pet adoption? Hear yourself out. If you can convince your heart that this is the right thing to do, then maybe this really is for you. Are you the type of person who loves giving surprises? Are you the kind who will try hard to think how are you going to make your loved ones feel that they are special? If you are pulling the trick all the time, you may feel that you are already running out of ideas. There is one surprise that you must not opt for. And this is none other than pet adoption. There are a lot of advantages of owning pets. It doesn't matter whether you are still young or you are on your senior years. Pets bring lots of joys in people's lives. But the kind of pet that one must own should be according to their lifestyle. So how can pets change people's lives? Here are only some of the reasons. 1. Companionship is the first and most popular reason whether for old and young people. They get pets of their choice to be there as a friend or even as a family. You treat your pets like babies. You feed them, bathe them and even teach them tricks if you can. For over stressed individuals and those who do not have their families to greet them upon coming home, pets become their alternative for such purpose. 2. There are scientific studies which proved that pets can cause good effects on one's heath, especially with the elders. Owning one and interacting with them can reduce your cholesterol levels. It can also regulate your blood pressure. Of course, it can eliminate or reduce the stress levels that you are feeling. Others say that this can also prevent some cardiovascular diseases from recurring. Overall, owning pets can lead to a healthier you. Plus, you will also be happier and more energized. You will get the sense of responsibility for your pets' health and lives. You will have fun, excitement and more alert. But not because you've read about the advantages of owning a pet means that you will head out the nearest adoption center and surprise someone with one. Mind you, this will also come with a lot of responsibility which the recipient may not be ready to owe up to. So make sure that you talk first to the person you have in mind to give a pet to before you make any moves. 1. Do not give those who are not asking for it. There are reasons why people choose to have pets. But there are also reasons why they opt not to. This is the basis why the American Humane Society advices people to discuss the matter with the would-be owner before you pass on to them the responsibility of owning a pet. They do not encourage the gesture of giving pets as gifts. 2. Discussing will also prove to be easier on both parties. If they really want to own pets, at least you can ask them for their preferences. This way, you are assured that when you give them the pets, they will be happy about the gesture and that they will be prepared to care for the animal. The vital factor in pet adoption is that you have to find the perfect match between owners and the pets. You have to make sure that both will like and love the fate that they are both about to venture into. My good friend who is a dog trainer offered me his 5 year old Belgian Malinois for adoption. He is trained as a protection dog so he can guard his master, bite on command, release the bite on command, stay until released and others. He has a trophy as third placer in Level 1 protection in a protection dog competition. I have two dogs at present: A one year-old and a nine month-old Labrador... both are females, obedience trained and not neutered. I would like to adopt him and I know I can take care of him. Will he accept me after being my friend's favorite dog for 5 years? My friend assured me that he can transfer the loyalty of the dog to me. He is a fierce dog when in competition but a very quiet dog when outside the training ring. In fact my friend brings the dog with him all the time and I know of several occasions that the dog is off leash. He is giving him up because he wants to replace him with a younger dog. Should I take him up on his offer? Yes... the dog will transfer his loyalty to you. 1. 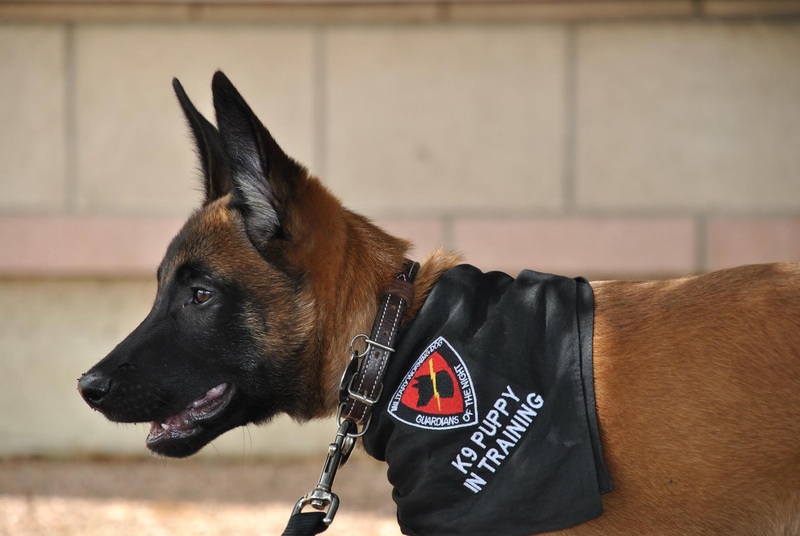 The Belgian Malinois (especially one that is bred and trained for bite work and protection dog sports) will require a lot of work ON YOUR PART to learn how to handle this dog. You're going to need a lot of training... one-on-one style... to successfully integrate this dog into your life. It's like driving a Ferrari or a race car. The car already runs great, but if you don't learn the right way to drive it, you'll end up killing yourself. And just because you already know how to drive a Subaru doesn't cut it... we're talking Ferrari, here. And the Belgian Malinois is a Ferrari with the tricked out Turbo engine. 2. The breed is an extremely HIGH DRIVE breed. This dog needs TONS of exercise and mental stimulation. TONS. Please take the time to recognize that adopting this dog will be a major responsibility. If you decide to do it, and you are successful, you'll have an amazing companion. The breed is quite healthy and you can be content in knowing that you own a KING OF KINGS as far as working dogs are concerned. Part of me has always wanted what you're thinking about getting. But my lifestyle and dedication to the exercise and training requirements are something I do not have at this current point in my life. P.S. Make sure that the dog isn't dog aggressive before you decide to take ownership. Does it already sound like a dating game wherein people are being matched according to their traits and preferences? Well, that is very much true. As the pet owner, you must also make sure that when you already acquired the animal, you must do everything in your capacity to look out for its well-being. Now it is already sounding more like parenting, right? But this shouldn’t scare you. Pets bring lots of joy for those who are open to accept them with loving arms. But before your thoughts go as far as the many advantages of being a pet owner, you must first be informed about the costs that it would take for you to find the right pet. 1. In calculating the annual costs of owning a pet through adoption, the American Society for the Prevention of Cruelty to Animals suggests that the following items must be included: food, treats, toys, required licensing if any, medical treatment and vaccinations. They have come up with the following figures for the pets listed below. • Fish will cost about $20. The aquarium’s prices differ from $20 to $200 and even higher depending on the quality and the features. • The prices of dogs will differ depending on the size and breed. A medium built may cost about $600 while a large built can be up to $800. • Rabbits are easy to deal with. But the costs for this type can be up to $700. • Cats may be within the range of $500 to $600. • The prices of birds will also depend on the size and type. A small one can cost about $100 to $150. After you have acquired these pets, it is your responsibility to provide for their shelter, fun and training if you want. You may want to purchase cages for your pets, training bundles and dog crates. The costs for these can range from $80 to $500. 2. You must also be prepared for unexpected conditions such as accidents and sudden medical problems. You must save up for your pets as well for you to be able to afford the treatments in such conditions. 3. To give you a detailed sample of the costs of adopting a pet, here’s one example where you can base your decisions from. As stated previously, the annual costs that you may incur from owning a cat can reach from $500 to $600. And why is that? Here is the breakdown. The cost of adopting an adult cat is $60. The prices vary from location and the breed of the feline that you choose. 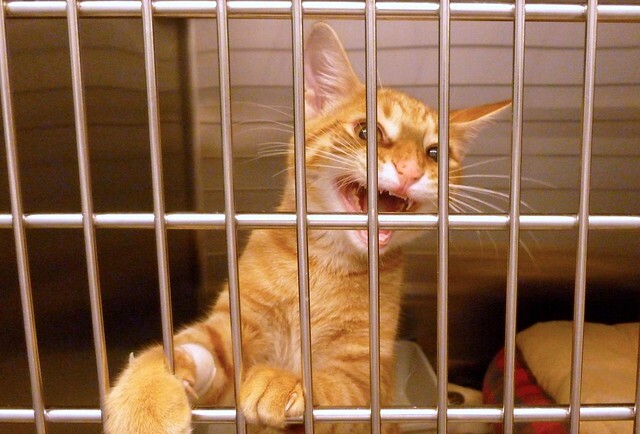 If you will buy cats from pet stores, the prices may range from $150 up to $1000. The cats from the center have been neutered ($30 up to $80) or spayed ($45 to $90). The vaccinations for its first year can be about $150 to $300. Cats must also undergo FELV or Feline Aids and FELV or Feline Leukemia testing that can be about $50 to $80 per test. But the costs of pet adoption must not discourage you from being a pet owner. The joys your pets will add to your life will make it all worthwhile. Animal euthanasia is the act of inducing death to an animal. Euthanasia methods are designed to cause minimal pain and distress. Most of the times, it is called the act of “putting asleep” an animal. Meanwhile organizations like animal rescue groups and animal rights organizations strictly oppose this method. They say pet adoption could dramatically reduce the number of animals being “put to sleep”. There are many reasons for animal euthanasia. Terminal illness, behavioural problems like aggression can be reasons for euthanasia. While there are animal owners inducing their animals or pets to euthanasia when they have illnesses or broken limbs that requires big medical and financial attention. Old age is also a common reason for animal or pet euthanasia. Meanwhile for animal shelters, they induce euthanasia since they do not have enough space or room for an abandoned animal. According to Humane Society of the United States, there is an estimated 4 to 5 million of adoptable animals in animal shelters euthanized due to lack of facilities. While American Humane Association cites even a bigger number, 9.6 million of animals in the United States are being euthanized every year. According to the survey conducted by the American Humane Association, out of the 1000 shelters who responded to the survey, 2.7 million of 4.3 million animals (64 percent) are being euthanized. Out of this euthanized number, 56 percent are dogs and 71 percent are cats. There 15 percent of dogs and 2 percent of cars were reunited with their owners. 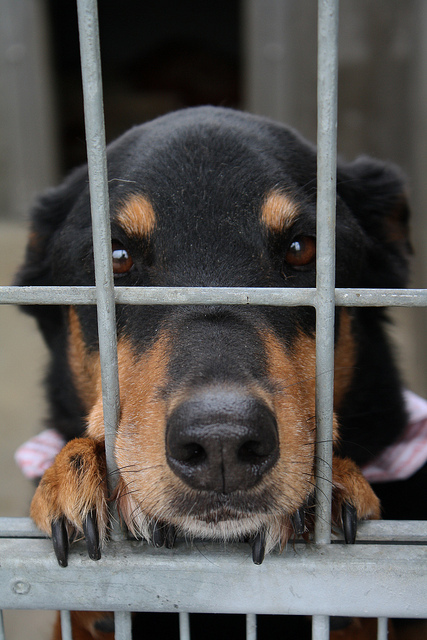 Just a dismal 25 percent of dogs and 24 percent of cats were adopted. Majority of the animals in shelters were being euthanized since there is a standard period of time (ranging from several days to weeks for unclaimed stray animals). However, there are “no kill” shelters run by private and animal welfare organizations. These “no kill” shelters make it an official policy never to euthanize animals for medical reasons. Another reason why animal euthanasia is creeping to our culture is because of pet overpopulation. There are numerous pet owners surrendering their pet due to personal reasons and inadequacy in taking responsibility for their pets. There are also people who only wants puppies, once the puppies grow, they completely neglect them and eventually surrender them to shelters or rescue groups. There are owners who due to failure of spaying or neutering their animals tend to reproduce. There are thousands of litters being born in American homes every day. It is important to consider the financial and medical attention and responsibility these huge numbers of pet reproduction. We do not want to contribute to the raising number of people surrendering their pets for adoption. Eventually, leading to not being adopted and euthanasia. Clearly, there is crisis in the pet population of the United States. Too many animal companions competing for a few good homes than will take them is a clear effect of uncontrolled breeding. Dog bite victims are now ranging to 4.5 million each year, due to uncontrolled breeding. Some of the victims fall prey to homeless and stray animals in the streets. They pose public danger, and the government is paying the people’s tax money in controlling these animals and maintaining animal shelters. Pet adoption is a great way of lessening the impact of the crisis in pet population. 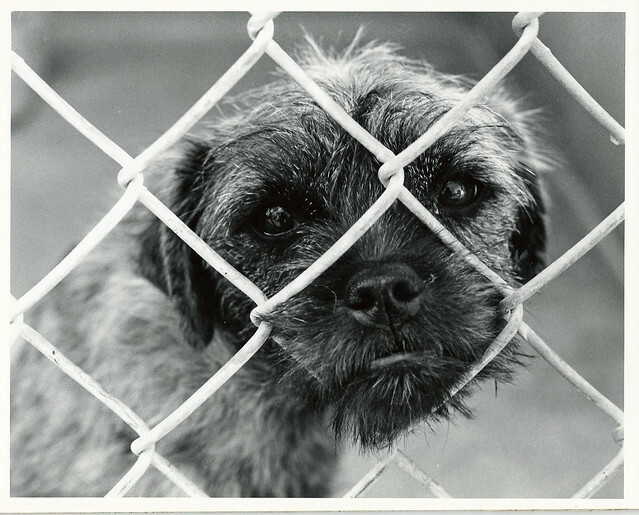 Instead of buying pets from puppy mills or companies that breeds animals for profit, adopting an animal is a great way of reducing the number of euthanized animals in shelters. There are countless benefits of pet adoption. There are studies conducted saying the adopted pets are more loyal and devoted since they have already experienced the worst. Pet adoption is a great way of reducing the number of animals in shelters and making way for another one. Pet adoption battles euthanasia – one pet at a time.